Garment Care: Washing max 40¡æ, Iron with press cloth, Do not tumble dry, Do not bleach. 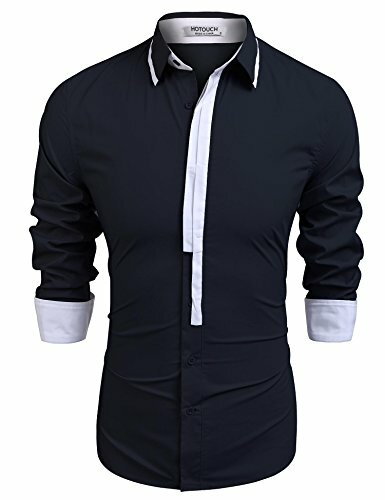 The Classic Dress Shirt is Perfect for Party, Business, Wedding, Work, Casual, ect. for all seasons and occasions,Perfect gift for your dad, husband, son, or friend. Simple and elegant neckline styling provides businessman with a high quality wear experience. Please read the SIZE INFORMATION and the SIZE CHART of SELLER in product images before ordering to ensure accurate fitting. If you have any questions about this product by Hotouch, contact us by completing and submitting the form below. If you are looking for a specif part number, please include it with your message.